We spent two nights in the Bordeaux wine region of France. Most of our time was spent in the medieval village of Saint-Emilion. It is a UNESCO World Heritage site. Ancient buildings and streets are interesting but the area is most known for its excellent wine, in particular merlot. The best vineyards produce Grand Cru Class wines which can sell for 1,000 Euros ($1,400) or more per bottle! 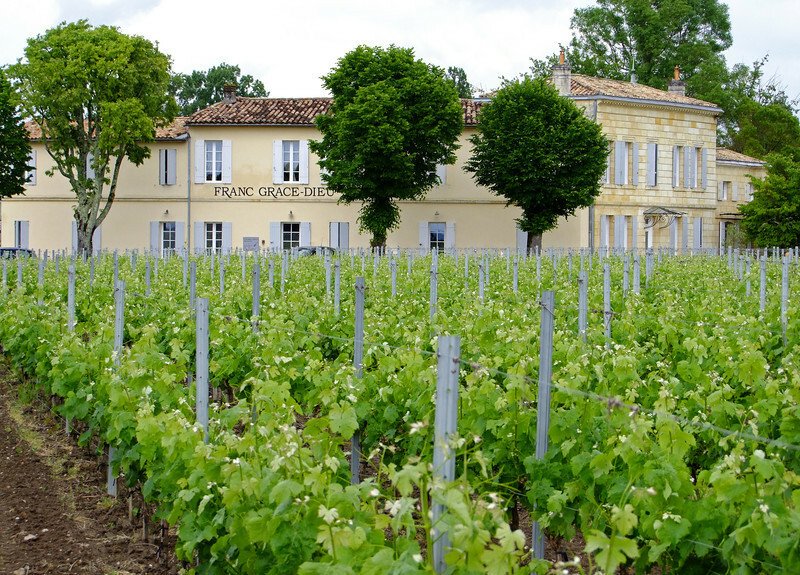 We stayed at the Franc Grace-Dieu B&B located in the midst of a beautiful vineyard. Our B&B for two nights.